This week: This time, I think about the way how World of Warcraft motivates its players to tackle nine year old content. 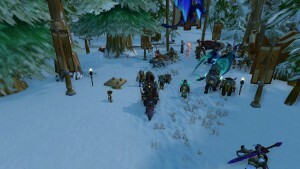 Over the course of a year, several so-called „world events“ take place in the virtual world of Word of Warcraft (WoW). The world events are based on real world events, such as Christmas, Eastern and Thanksgiving. 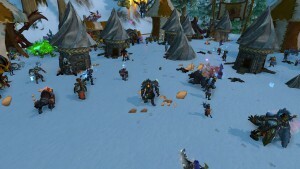 Currently, the „Brewfest“, which is based on the Oktoberfest, takes place in Azeroth and imports some elements of the Bavarian culture into the virtual world. 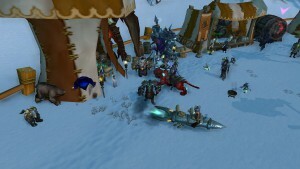 The Brewfest was added to the game in the year 2007 and is now celebrated for the ninth time. Surprisingly, although the underlying quests were not significantly changed during the last nine years, the Brewfest still attracts a lot of players who complete all the related activities in order to earn „Brewfest Prize Tokens“. The reason behind the high demand for the tokens can be explained with the fact that the Brewfest 2015 received a bunch of new items that only can be purchased with the special Brewfest currency. Usually, old content is no longer visited as soon as the players can not get anything new from it. The reason behind this phenomenon lies in the structure of the events in the game as they do not feature an infinite amount of unique quests. Instead, an event features a few quests that can be repeated on a daily basis and that reward the player with a certain reward on completion. In this case, a player has usually completed all the available quests on the first day and starts to repeat them the over the course of the following days in order to gather enough resources to obtain the desired event rewards. Over time, the quests cease to be entertaining and become a chore the player has to complete. However, the player is provided with a clear goal and a constant feedback about the own progress and thus the player is very motivated to tackle the quests on a daily basis. This is also the main reason why the gamification is so successful as it provides the users with a clear goal and constant feedback about their progress so that they are highly motivated to work towards that goal by completing daily chores. 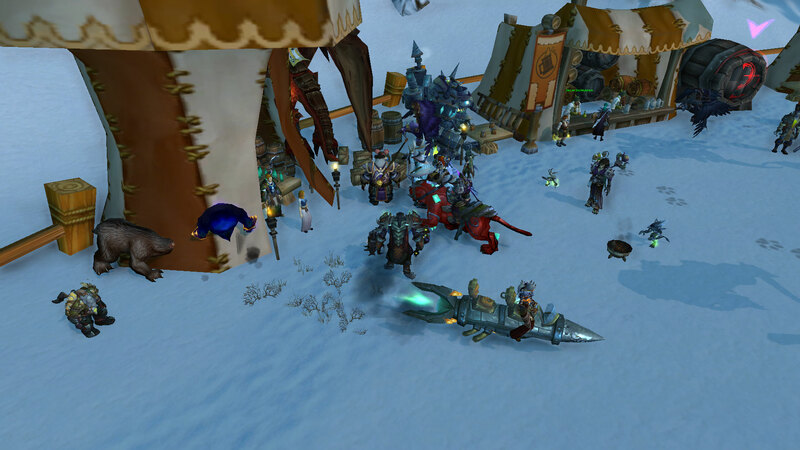 Players deliver kegs in order to obtain Brewfest Prize Tokens. As soon as the player has obtained all available items, the motivational effect of working towards a clear goal stops and the player looses interest in completing the daily quests. However, the motivational effect can be restored by adding new rewards to the game and, as a result of this, the player has a new incentive to tacke the daily chores in a highly motivated way. In this case, adding new rewards to the game is a very effective and easy strategy to raise the interest of the players for the old content as the events do not need to be changed. The NPC that sells the event related items is surrounded by players. This is especially surprising as the content is already nine years old and the rewards are nothing more than a few fun items that do not change the gameplay of the players in a significant way. On the other hand, it demonstrates well how strong the motivational effects of virtual rewards can be. This week: This time, I think about the way how Never Alone presents the culture of the Iñupiat people to interested players from all over the world. 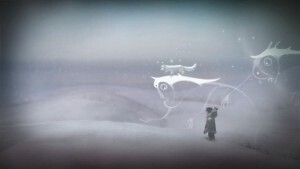 Recently, I began to play the computer game „Never Alone (Kisima Ingitchuna)“ and I was caught right away by its unique concept as it presents the culture of the Iñupiat people in a very engaging way. During the gameplay, players can learn new knowledge about the culture of the native Alaska people by discovering and watching so-called „Cultural Insights“. Each of those special videos follows the style of a documentary and is about a certain part of the Iñupiat culture. In addition, the videos are also used in order to provide the players with some background information about certain elements that play a crucial role in the game. For instance, a player receives a bola during the early stages of the gameplay and can subsequently use it in order to destroy certain ice barriers. At the same time, the player unlocks a new Cultural Insight that presents the original use of a bola and describes a special hunting method of the Iñupiat people. The story of the game itself is about a young Iñupiat girl who is lost in the Alaskan wilderness and tries to find her way back to safety. Fortunately, she is not alone as she is accompanied by an arctic fox. During the gameplay, players can switch between both characters in order to solve puzzles and to overcome challenges. Personnally, I think the combination of documentaries with an engaging gameplay is a great way to develop a certain understanding of a different culture. On the one hand, the videos provide the players with a connection to the real world and help them to understand the feelings and thoughts of the Iñupiat people. The computer game itself, on the other hand, even allows the players to experience the mythical elements of the culture. For instance, a Cultural Insight introduces the player into the thought that every part of the world has its own soul and that those souls sometimes even help the people. Subsequently, the player meets the mythical helpers that continously help the player to overcome challenges. In the end, Never Alone demonstrates that computer games can be even used to help players to develop a certain understanding of a foreign culture. This week: This time, I think about my experience of entering a new dimension of flow by combining two different flow activities. I already wrote about the way how I was motivated by the state of flow while I was running . While being in the state of flow, everything except for the current activity becomes unimportant. The only goal is to continue and to remain in the state of flow as this is one of the most rewarding feelings. A person, who is in the state of flow, is completely immersed in the activity, enjoys every part of it and does not want to reach the end. In the end, being in the state of flow is the wish to never stop experiencing the current situation. This is also the main reason why flow keeps a person motivated to tackle a new challenge that will exhaust all of his skills in order to overcome it. Recently, I have experienced a new dimension of flow while I was running. Normally, the state of flow is caused by the activity itself as it provides me with a constant stream of feedback about my progress. 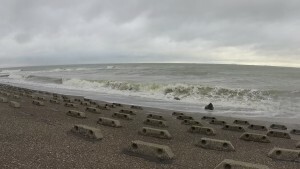 This time, however, the „regular“ running flow was enhanced due to the fact that I was running in a very energetic environment: I was running along the shoreline of one of the East Frisian Island during high tide. 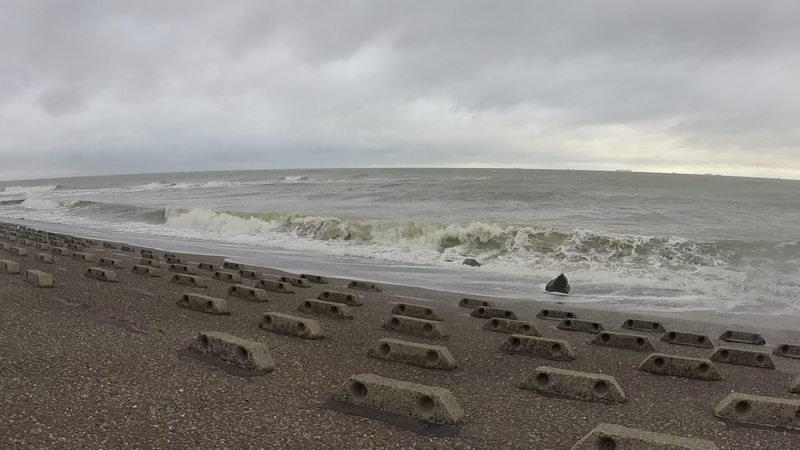 Not only that I was running right next to the approaching waves, I was also exposed to a light rain and a very strong wind that made the athmosphere even more energetic. Looking back on this particular running session, it seems that the state of flow reached a new dimension as I combined two different flow activities. Being exposed to the elements and watching the waves can be very exciting and cause the state of flow. At the same time, I was following my passion of running and thus I was already in the state of flow. In the end, I have combined both activities and, as a result of this, I have experienced a new dimension of flow that caused a very rewarding feeling. This week: This time, I think about the entertaining aspects of creating Let’s Play videos and telling a coherent story across multiple episodes. Since the last days of October 2013, I am creating so-called Let’s Play videos (LP). Creating an LP is a special form of playing a computer game as the player is commenting and recording the own gameplay. Therefore, the resulting video shows the computer game’s content that is extended by an additional story. The most interesting and entertaining part of creating an LP instead of just playing the computer game comes from the fact that this method allows me to tell a unique story. Naturally, the uniqueness of the story depends on the game itself as an open world game provides more freedom than a linear story based game. However, it is still possible to create a unique LP about a story based game as each player can approach certain events in the game in a completely different way and thus add a unique story layer to the gameplay. Open world games, however, are perfect to tell a story as they do not feature a predetermined story and thus surprise the players with unforeseen events. Furthermore, open world games do not have a clear goal and allow the players to set their own goals and try to achieve them. These two features can be used to tell a unique story as the player can choose a goal and document the own actions that are necessary in order to achieve the selected goal. All the unforeseen events that take place during this time are the basis for the narration. During the gameplay, the player has to react to those random events and thus a new entertaining story begins. Moreover, some of the random events can distract the player from the main goal and tell a story-within-the-story. In the case of a very ambitious goal, it is even possible that the unique LP story becomes a vast narrative. In the end, all the small episodes are connected by the overall goal that was set by the player and hence they become a coherent story that was surprising to the player and to the viewers of the resulting LP episodes.